Photos by Joseph Robertia, Redoubt Reporter. 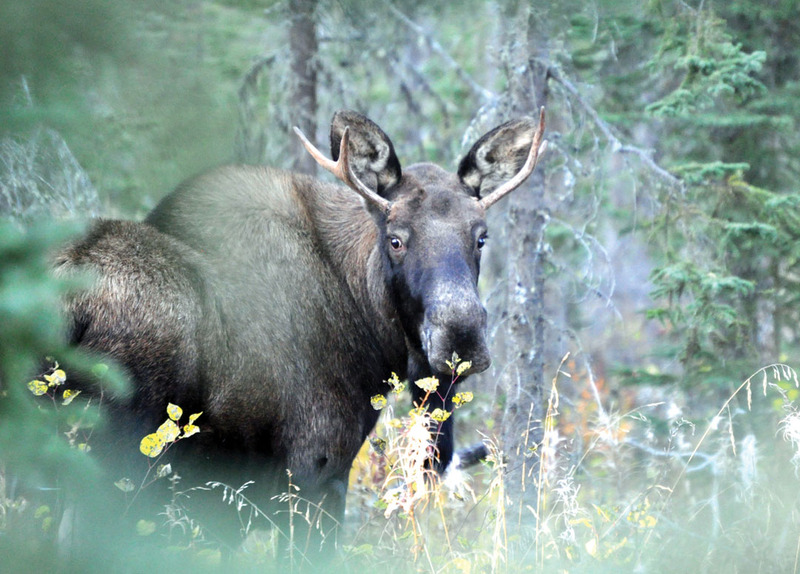 With moose hunting season well underway, hunters should be sure prospective targets are legal. Young bulls with small forks on both sides, such as this one, are not legal under the spike-fork rule. A few hunters have already made mistakes this season. If the cooler temperatures, changing colors and shortening hours of daylight weren’t enough of a tipoff, the growing incident of camo-covered gear and clothing should be indication that summer has fallen, with hunting season on the rise. 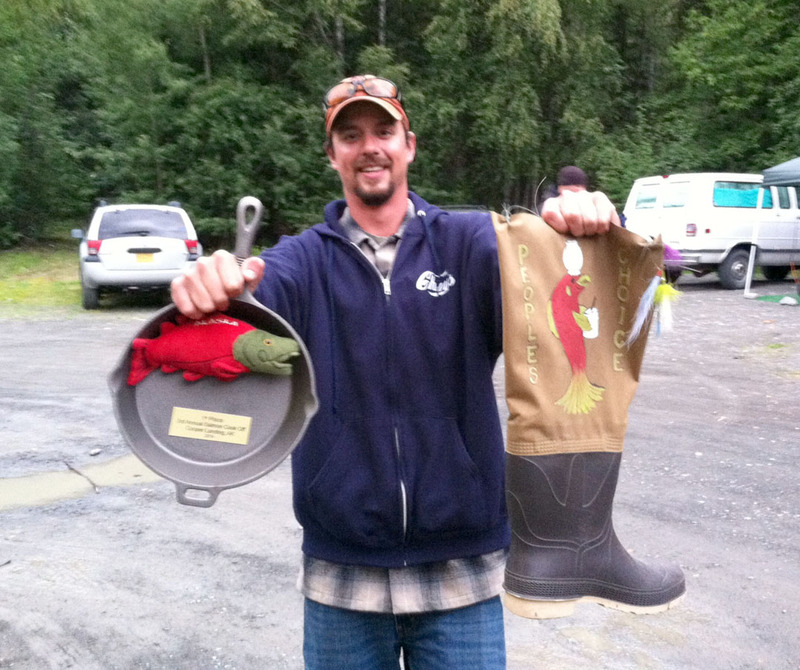 Moose hunting has gotten off to a good start for many peninsula residents, reports Jeff Selinger, area wildlife manager with the Alaska Department of Fish and Game, referring to the Aug. 10 opening of bow season for moose, and the Aug. 20 opening of rifle season. This represents an uptick in hunting success following the slump peninsula hunters have faced in the past few years, due in part to regulations put into place to bolster the area’s moose population and bull-to-cow ratio. In 2011, the Alaska Board of Game enacted restrictions out of concern following research into moose population trends related to the number of bulls to cows, as well as trends in moose harvests. For example, one Fish and Game study showed decreasing bull-to-cow ratios in Game Management Unit 15C, on the southern peninsula, where fall surveys revealed about nine bulls to every 100 cows, with 20 bulls to every 100 cows being the target. In 15A (the upper and central peninsula) and 15C, where the bulk of the moose harvest on the peninsula takes place, Fish and Game was seeing skewed numbers of spike-fork bulls being taken. The harvest of yearling bulls was ratcheting up as high as 65 to 70 percent of the total harvest in some years. As a result, harvest of spike-fork bulls was not allowed in 2011 or 2012, and the requirement for a bull to be harvestable was changed from it having a 50-inch antler spread or three brow tines on at least one side to 50 inches or four brown tines on at least one side. After the Board of Game met in the winter of 2013, it was decided the 50-and-four regulation would remain in effect, but bulls with a spike on at least one side would again be legal to harvest. “We saw, as expected, an increase in hunters and hunters’ harvest due to this change,” Selinger said. Fish and Game numbers indicated a drop in both hunter participation and moose harvest on the peninsula following the 2011 restrictions. In 2010, the year before the changes were implemented, 2,683 hunters took to the backcountry and roughly 400 moose were harvested peninsulawide. By comparison, in 2011, 951 hunters reported hunting and 66 moose were taken — and that was all moose hunts, general season and by permits, Selinger said. And those numbers continued to rise last season. “Last year we had a total of 1,690 hunters who took a total harvest of 156 bulls, so it did go up again,” he said. Photo by Jenny Neyman, Redoubt Reporter. Sen. Lisa Murkowski, R-Alaska, addresses a joint meeting of the Kenai and Soldotna chambers of commerce on Aug. 20. Sen. Lisa Murkwoski’s report in Kenai on Wednesday regarding the U.S. Senate’s accomplishments this session was a frustration-laden, “Effectively, not much.” Her hope is that there will be more progress on which to report during her next recess trip back home to Alaska but said that, unless her Republican Party wrests control from the current-majority Democrats, she’s not optimistic of that, either. “The reason that you’re not seeing things happen is not that there is nothing to do. 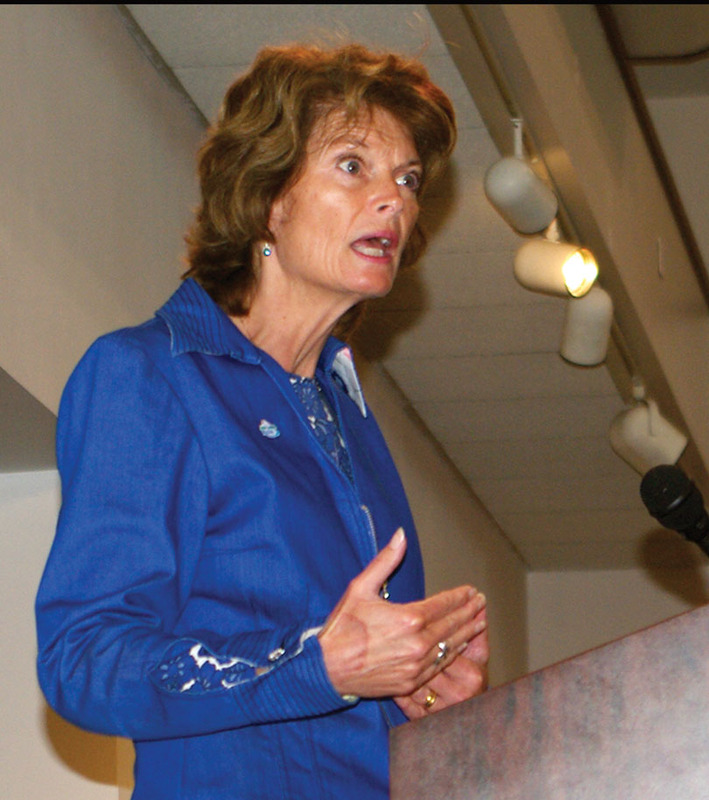 It’s because we’ve gotten so entrenched with the partisan nature with what is happening in the Congress, particularly in the Senate,” Murkowski said during a visit to a joint Kenai-Soldotna chamber luncheon meeting at the Kenai Visitors and Cultural Center. “You’re not seeing a lot of productivity, and that hurts us as a nation because we’re not governing when we’re not being productive. “It’s been unfortunate because we’ve got a whole host of things that I think are front-burner issues. I feel pretty strongly that we’ve got a responsibility to deal with the budget, deal with appropriations, we’ve got debt issues that we need to address, we’ve got an immigration situation, we have a weak-kneed foreign policy approach and issues as they relate to what is going on overseas,” she said. Matters of particular relevance to Alaska also aren’t being considered, she said. Instead, Murkowski said that the majority leader, Harry Reid, D-Nevada, is using his ability to set the schedule in the Senate to fill time with judiciary appointments. She’s hoping for six Senate seats to go to Republicans in the November election — including the one Mark Begich, D-Alaska, is seeking re-election to, in order to switch majority control. With her seniority, that change would move her into chair positions on the Senate Energy and Natural Resources Committee, and Interior and Environment Subcommittee of the Senate Appropriations Committee, and allow Republicans to set the Senate agenda. “I need to have a majority leader that agrees that our nation’s economy is better, that the opportunities for Alaskans and all Americans are better when we’re able to access our resources in a responsible way. I need to have the confidence that that person is helping set the agenda, and we’re not going to have that if Harry Reid continues,” she said. But Murkowski acknowledges that having control can be a double-edged sword, as it would also be a litmus test for Republicans. “As Republicans if we reclaim the majority and we fail to govern, my view is, as a party, you will not see us come back into power for years and years after this. We have to demonstrate that we can govern or we will not be placed with that authority. 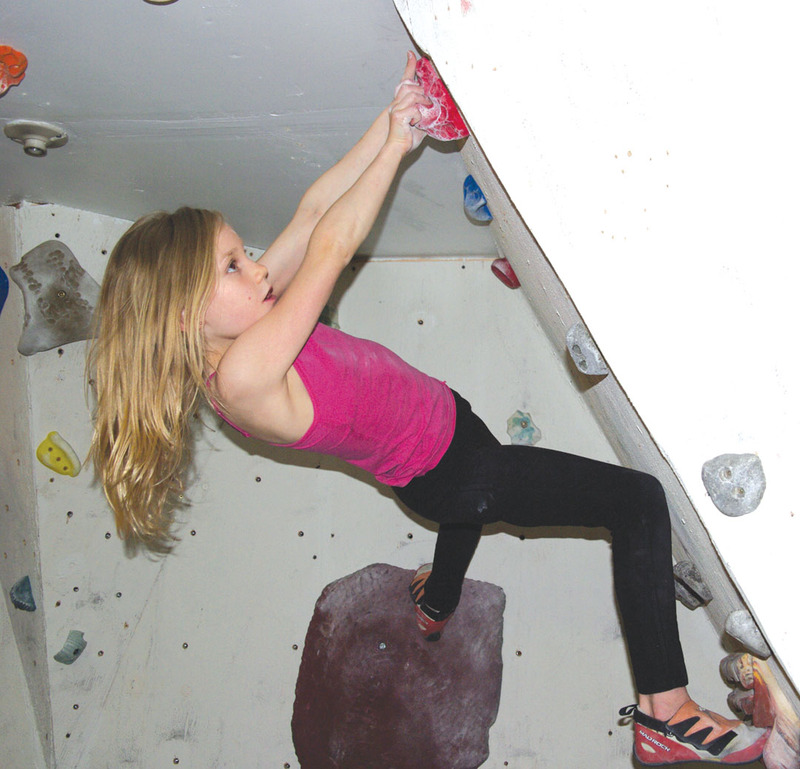 There’s a lot on our shoulders and we’ve got one shot to do it right,” she said. Last time I was this “late” it was also at the end of salmon season. Our eldest son, Jake, and I had set out to tackle the results of weeks of great fishing. Jake, after having recently viewed the movie Forrest Gump, set the scene as we gazed at several cases of canning jars. Bodily he stuck out his lip and informed me that salmon was the real fruit of the sea. As the days wore on he randomly blurted out excerpts from the scene where Bubba informs Forrest of all the ways to prepare shrimp, or, in this case, salmon. “You can barbecue it, boil it, broil it, bake it, sauté it … .” One case down. From there our family’s recipes infused with Bubba’s and an all-out seafood smorgasbord ensued. This culinary craziness went on for several days. After we neatly arranged the last few jars in the pantry, we stood back to admire all 110 quart jars of seafruit goodness. On cue, Jake sighed deeply and declared, “Well, that’s about all the ways to make salmon.” A few weeks later my hubby inquired why he was no longer getting his favorite standard lunch, salmon sandwich on homemade bread. What was this lunchmeat product befouling his bread? I couldn’t explain it other than the mere act of peering into the pantry made me feel pukey — bleh! Six months later Patrick Michels arrived, and to this very day he LOVES salmon — just like his dad and brother. Go figure. Thankfully, the only thing running late is this column — salmon season being busy season — and the only thing we are expecting is a move a few miles down the road. Grounds for Divorce No. 8002: Packing moving boxes and not labeling them with a detailed listing of contents. Moving boxes are NOT like a box of chocolates! It is not fun to wade through a box wondering what you are going to get. Jacki Michels is a freelance writer who lives (and loves) in Soldotna. Over the past several weeks we’ve discussed the most important compact-system cameras, those from Sony, Olympus, Panasonic, Fujifilm and Samsung. But there are still others on the market. At this time, only three major vendors continue to market moving-mirror digital SLR cameras, Pentax and the dominant Nikon-Canon duo. Traditional dSLR makers like Sony, Fujifilm and Olympus have stopped producing moving-mirror cameras, instead concentrated on improving their compact systems. They shifted because CSC sales continue to rise even as dSLR sales drop in all markets, even in Europe and the U.S. Every manufacturer prefers a slice of a bountiful pie rather than a diminishing one. This week, we’ll finish our review of high-quality compact cameras by considering those from Canon, Nikon, Pentax and Leica, along with some high-quality, fixed-lens alternatives. Canon’s original and sole CSC remains the EOS M “system,” which uses the same 18-megapixel, APS-C sensor found in Canon’s moving-mirror dSLR cameras. Although not exactly state of the art, it’s a decent sensor capable of good results when used carefully. Unfortunately, there’s only a single camera EOS M camera body, a single 18- to 55-mm kit zoom lens, and a single prime lens, Canon’s 22-mm f/2, available in the U.S.
That’s not much of a system, but it’s currently an excellent bargain at reputable vendor http://www.bhphotovideo.com. At BH, the camera body, bright prime lens, kit zoom lens and powerful external flash currently sells for $499. Although it’s likely to be replaced soon and there’s no eye-level viewfinder available, that’s still a nice system for a casual photographer. Nikon’s 1 System uses a smaller, “One-inch” sensor that’s about half the size of the Micro Four-Thirds sensors used in Olympus and Panasonic CSCs. “One-inch” sensors are increasingly popular but their image quality and low-light performance are lower than both M 4/3 and APS-C cameras. Unlike Canon’s EOS M camera, Nikon currently offers several 1 System camera bodies in a range of colors. Nikon offers only a limited variety of lenses that mount natively on the 1 System camera bodies. The two most recent CSC cameras from Nikon, the consumer-oriented J4 and the more serious V3, are both rather more expensive than comparable M 4/3 cameras that perform better and have a wider range of good lenses. In the case of the V3, it’s seriously overpriced, costing more than Olympus’ prograde OM-D E-M5. The less-expensive 1 Series cameras seem a better match for tight quarters like a purse, large pocket or vehicle dashboard box. Photo courtesy of Alaska’s Extended Life Animal Sanctuary. This young female dog and 34 others were rescued from a home near Soldotna last week and brought to Alaska’s Extended Life Animal Sanctuary in Nikiski, where they await veterinary treatment and placement in adoptive homes. The home was outside Soldotna city limits, and since the Kenai Peninsula Borough lacks animal control powers, community members decided it was up to them to intervene after hearing reports of starving dogs in the Knight Drive area. Word of 35 malnourished dogs — including two litters of puppies and a pregnant female — being rescued from a 10-by-20-foot room in a trailer home just outside Soldotna city limits Aug. 11 is melting the hearts of animal lovers in the area and beyond, motivating many to pitch in to help cover the costs of food, shelter and veterinary care for the dogs and find them new adoptive homes. To those who live in the neighborhood, the situation is all too familiar, and though there’s pity for the animals there’s frustration, too, that the problem has been going on for as long as it has — 20 years, by some accounts. And that there have been no resources with which to deal with it, until a group of concerned dog lovers decided to step in and do something themselves. “Not only are these dogs in a safer, healthier environment, but it’s also making the community come together. A lot of people turn a blind eye to something like this. ‘It can’t happen in Soldotna.’ ‘Oh, it doesn’t happen here.’ Well, it does happen here. Here you go, this is the proof. And unfortunately, living in Alaska, we don’t have the resources that the Lower 48 has,” said Tabitha Walker, one of the rescuers. Walker had heard about a situation of dog neglect in the Knight Drive area of Soldotna a year ago when she was volunteering at the Kenai Animal Shelter. Reports varied — the couple had 40 dogs, 70 dogs, as many as 100 dogs at one time or another over the years. They weren’t being fed regularly and were alternately crammed into a small room in a small house, put in a backyard with inadequate fencing or just roamed free, often forming a pack that marauded the neighborhood looking for food. The story Walker heard was as gruesome as it was attention-getting: The pack was eating a dead dog in a neighbor’s yard. She made several trips to the home during the next few months, knocking on the door and driving by hoping to see someone outside to which she could talk. No answer and no contact made. Until recently, that is, when she saw a post on a pet-related Facebook page from a neighbor concerned about the very thin, seemingly starving dogs. The post went viral, quickly generating hundreds of comments, several from other neighbors adding their observations — dogs chasing cars, nipping at people and harassing other pets, dogs so thin they looked to be starving to death, one dog strapped with strips of duct tape apparently as a way to address an injury to its hind legs. Over the course of the forum a few people discussed getting together some dog food and supplies, bringing them to the house and trying to talk to the owners. One volunteer, Cierra Conklin, knew the owners and offered to make contact. She, Walker and Krista Schooley brought the donations to the house and spoke with the owners. 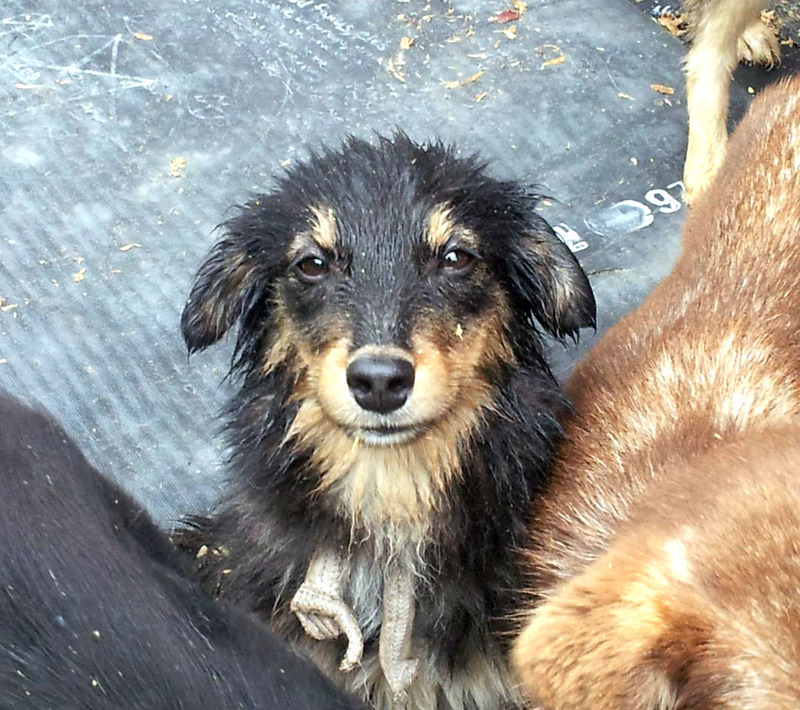 What they found seemed to them to be animal hoarding — a love of dogs gone awry — but not willful neglect.